The New York Times bestselling series of Tristan and Nina and their unforgettable romance that proves the greatest riches come from love. 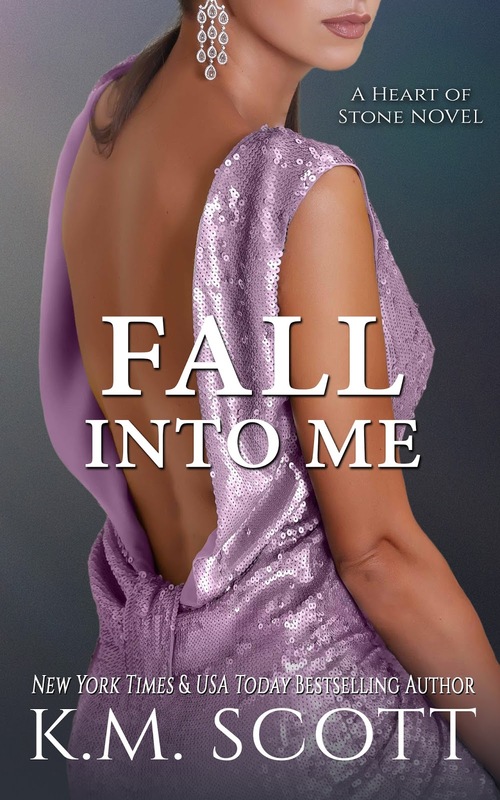 #1 CRASH INTO ME is FREE for a limited time! Ever After is the story of what happens with Tristan and Nina after they say “I do.” For readers who read Give In To Me and want to know if Tristan’s dream of their future comes true, this novella answers that question. Tristan Stone has made all of Nina’s dreams come true. Three beautiful children, a gorgeous home, and everything she could ever ask for is hers. But now he needs to show her that even domestic bliss can use a little surprise every so often, and what better time to do that than Christmas? Join your favorite couple and see how Tristan shows Nina just how much he loves her in A Heart of Stone Christmas! What do you do when the one you love is the one you can’t have? Gage Varo had accepted being alone for what he’d done. No one else should be hurt because of him. Then one day Jordan showed up and he fell hard for the beautiful blond who made him believe in love again. But his past returned with a vengeance and forced him to make the hardest choice of his life. He never stopped loving her, though, even as he watched her move on without him. What do you do when the one you love is the one you shouldn’t want? Jordan Wright thought she found real love with Gage, but it all ended one night with a phone call. Now she’s got a chance to have the life she’s always wanted with a man who can give her everything. All she needs to do is forget about Gage and she can be happy. The problem is she can’t forget the one man who loved her unlike anyone else ever had. They’ll have to put the past behind them if they ever want to have a future, but the past isn’t going away that easy. For Gage, the past never goes away. All he’s done to protect Jordan doesn’t erase the failure he can’t forget. But he’ll have to find a way to overcome those demons that still haunt him to be the man she needs him to be or risk losing her forever. The only thing Jordan knows to be true is Gage loves her. She doesn’t know why Hailey wants her dead or why a billionaire wants to help her kill her, but together with the man she loves, they’ll work to unravel the mystery behind Hailey’s plan. But will it be in time, or will she lose him again, this time for good?